From June 14 – 18 a group from the “Memorial Foundation of the Germanna Colonies in Virginia” (USA) , headed by the German-American Ulrike Meyer-Mello and by Barbara Price from California, visited the Siegerland to walk in the footsteps of their ancestors. For more than 50 years now, the Germanna Foundation has been the organisation of descendants of the first Siegerländer emigrants to Virginia from 1714 to 1750. 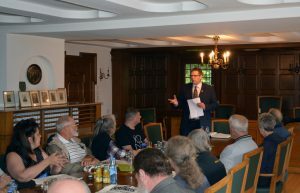 Following the reception by DAG-SiWi president and VDAC vice president Volker Schüttenhelm, the Americans with German roots visited the villages of Oberfischbach, Trupbach, Eisern and Müsen, which are now parts of the cities of Freudenberg (Siegerland), Hilchenbach and Siegen. From these villages, at least ten families emigrated to the”New World” more than 300 years ago. For their descendants , nowadays spread over several states of the U.S., it was a moving moment to see their ancestors’ houses, some of which are still there even after close to three centuries have passed. Trupbach was the home of Rev. Richter’s family, from which the American name Rector originates. 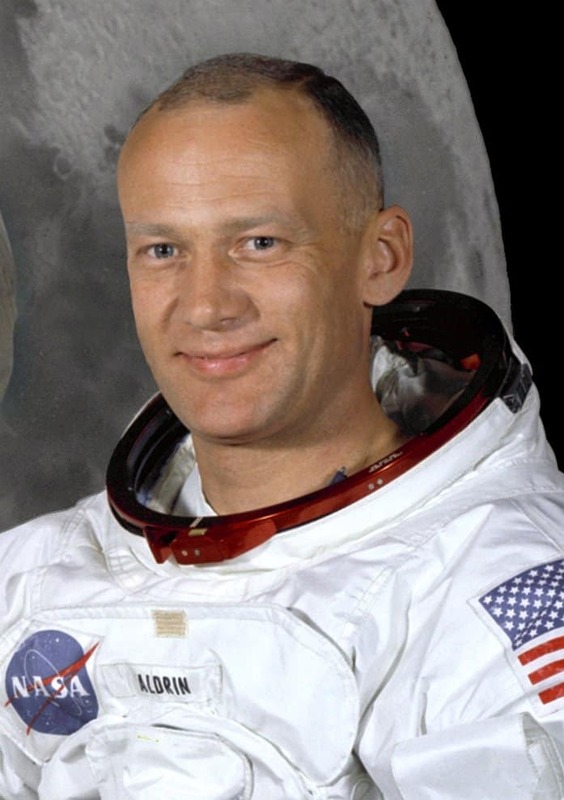 Here, the Germanna visitors learned that US astronaut Buzz Aldrin has a direct connection to the family tree of the Rector family: Hans-Jacob Richter (*10.10.1674/>Trupbach) and his wife Anna Elizabeth, born Fischbach (*15.04.1685/Trupbach), as well as the couple Johannes (John) Fischbach (*12.07.1691/Trupbach) and Agnes Haeger (*26.10.1697/Oberfischbach). Buzz Aldrin was the second man to set foot on the moon after Neil Armstrong on the Apollo 11 mission. 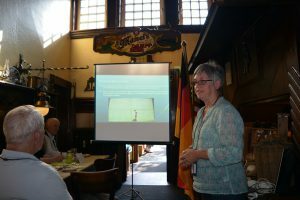 While enjoying coffee and homemade cake at Siegen’s oldest restaurant Peuns, the group listened to a presentation about the history of the emigrant families by Barbara Price, who had collected a lot of knowledge and photos from church registers and the Siegen city archive. 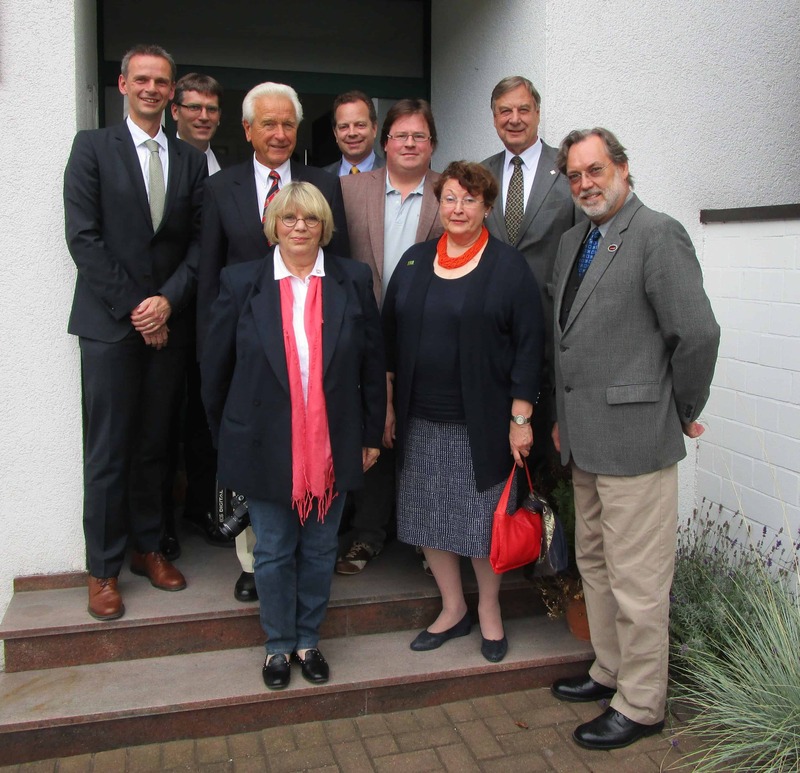 In May 2017, DAG SiWi participated in the policy program “The Aspen German-American Dialog – Learning from each other”. 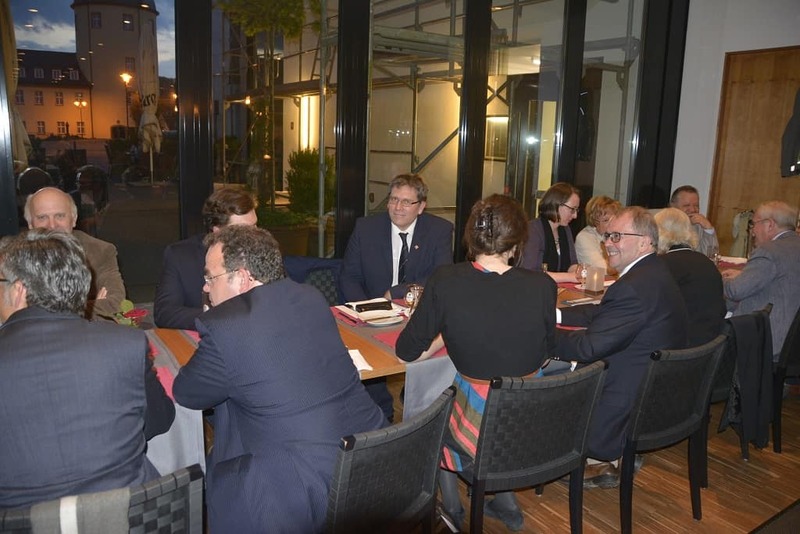 The program aims at vitalizing the German-American friendship, strengthening the mutual understanding and offering a platform to find common answers to urgent problems on a civilian and parliamentary level. In the context of this program, MP for the county Siegerland-Wittgenstein and DAG-SiWi member Volkmar Klein invited citizens and stakeholders of the civilian society to visit enterprises in his electoral district, to get to know the country and the people and to exchange opinions. 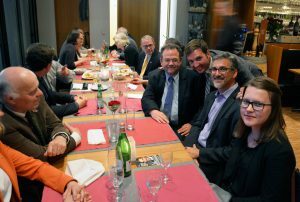 During a meeting in a relaxed atmosphere in a traditional Siegen restaurant, members of the DAG- SiWi e.V. and the American delegation from all levels of society could enter into an intensive and inspiring dialog about political and social topics. Programs like this allow a true and direct cultural and international understanding at the grassroots level of the civilian society. 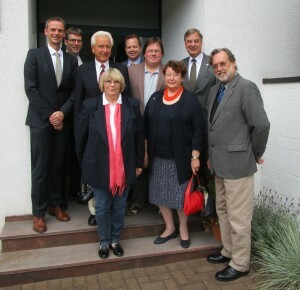 DAG-SiWi thanks Mr. Volkmar Klein (MP), Mr. Rüdiger Lentz (Director of Aspen Institute Germany) and Aspen Program Officer Ms. Mirijam Koch. 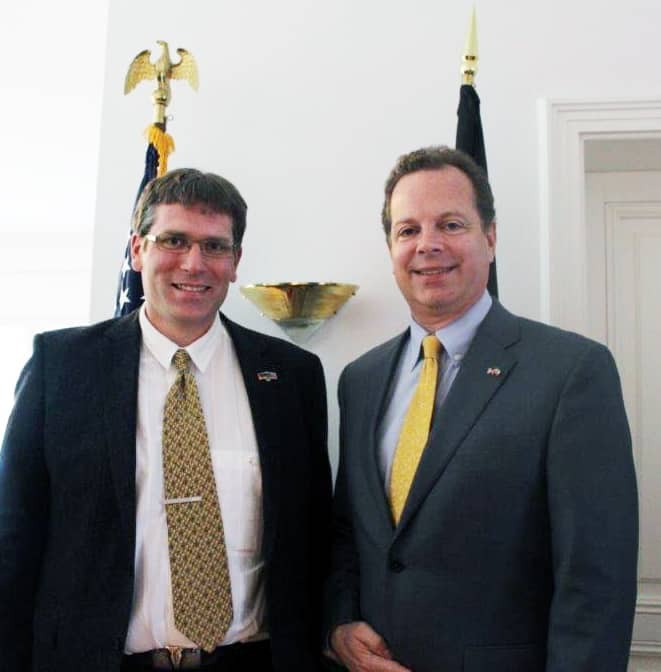 DAG-SiWi Secretary Volker Schüttenhelm was invited by US Consul General Michael Keller to join talks about the state of the German-American friendship in NRW. 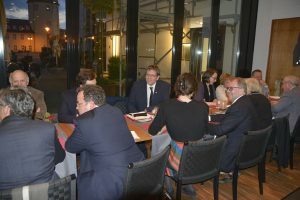 Other topics were revolving around possible upcoming cooperations and projects between the Consul General and the region Siegerland-Wittgenstein. CG Keller has just begun his new post. That the local German-American Clubs in NRW – including our region of the “hidden champions” – are very high on his agenda is exemplified by the fact that this Sep. 4 meeting with 8 clubs represents his first invitation to anyone since being in office. GC Keller is looking forward to having a close relationship with our Club and our region in the next three years. We are grateful for our continued excellent relationship with the US Consulate General Düsseldorf!